HD and CD quality from mEyeFi — click here! Also on iTunes — click here! An empire in collapse. A daring escapee. A deeply personal program of music from a time of turmoil — and hope. Violinist Elmira Darvarova was communist Bulgaria’s worst-kept artistic secret. News of the young virtuoso’s talent had circulated in the West during the 1970s — even coming to the attention of Jascha Heifetz. 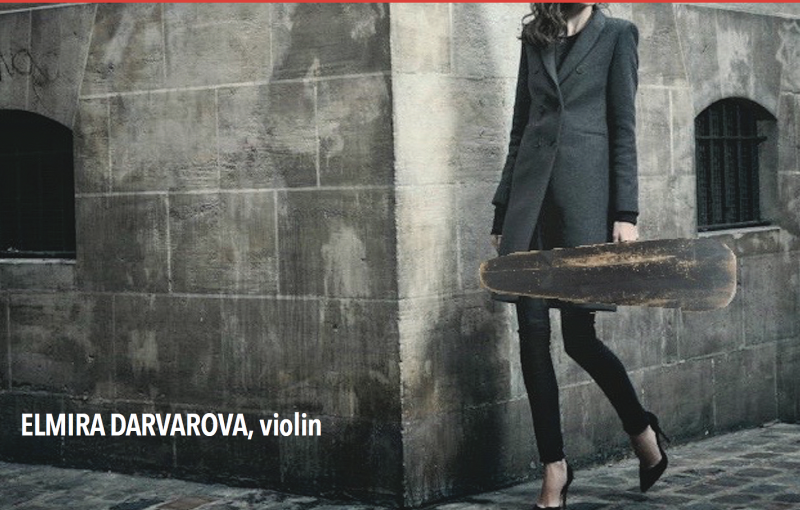 An artistic collaboration with legendary cellist János Starker led to her daring escape from Bulgaria. 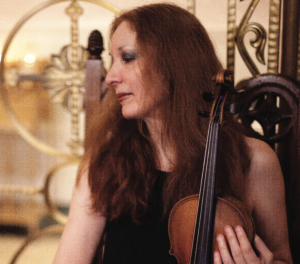 She emigrated to the United States, where she eventually became the concertmaster of the MET Orchestra and founder of the New York Chamber Music Festival. Darvarova has extensively recorded both classical and world music, championing scandalously underexposed works by such composers as David Amram, Amanda Maier, Franco Alfano, and Joseph Marx. 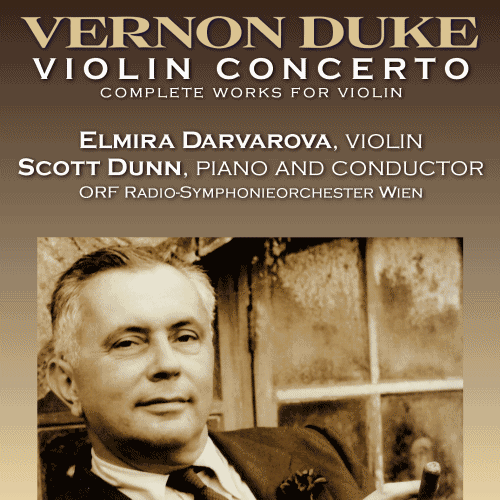 Violin Declamations from the Twilight of the Workers’ Paradise is her most personal recording to date — a program of solo violin works from the waning years of the Warsaw Pact and Soviet Union by composers, including several that had been denounced as dissidents in their own countries, whose music was exposing the cracks in the “glorious workers’ revolution” — but also expressing glimmers of hope. The program includes four world premiere recordings. Darvarova also includes a detailed essay on the music and a first-hand account of artistic life behind the Iron Curtain. 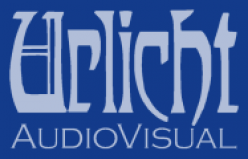 Urlicht AudioVisual is pleased to announce that desde Estudios a Tangos, featuring violinist Elmira Darvarova and legendary tango pianist and arranger Octavio Brunetti, has been nominated for a Latin Grammy®! The CD was released in September of last year, just days after Octavio’s unexpected death following a brief illness. We are humbled that this disc commemorates a greatly missed champion of tango music at the peak of his abilities in a partnership with one of his very favorite musical collaborators. Over the last two decades, Ástor Piazzolla (1921-1992) has emerged as one of the twentieth century’s most popular composers. Piazzolla revitalized and reinvented Argentina’s tango, taking it from the dance floor onto the world’s concert stages and transforming it into tango nuevo (`new tango`). 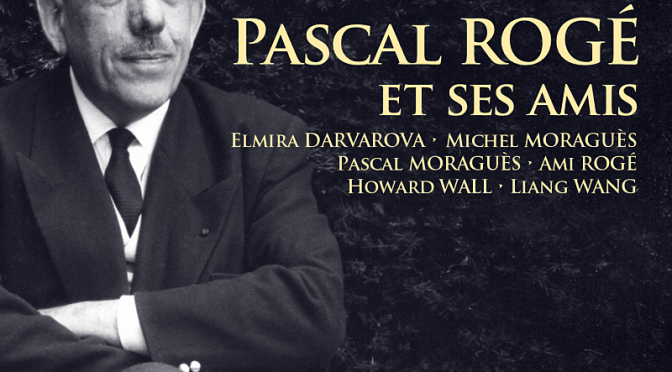 One of the most prolific composers ever, Piazzolla wrote over 3000 works and performed extensively around the globe, collaborating with musicians ranging from jazz god Dizzy Gillespie to legendary cellist Mstislav Rostropovich. 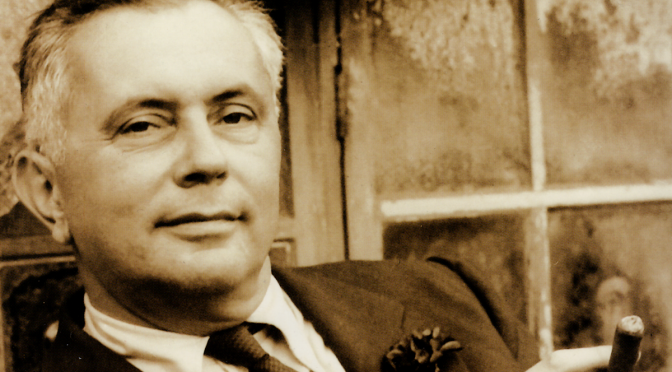 Octavio Brunetti has been called `the inheritor of [Ástor] Piazzolla’s mantle` and today’s most prominent pianistic interpreter and arranger of Argentinian tango. 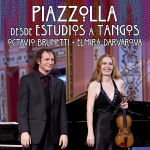 `PIAZZOLLA — desde ESTUDIOS a TANGOS` teams Brunetti with violinist Elmira Darvarova — the first woman concertmaster of the MET Orchestra — in their second CD collaboration. Included is the world premiere recording of Piazzolla’s six solo `Etudes tanguistiques` in new versions for violin accompanied by piano by Octavio Brunetti, along with his new, atmospheric and colorful arrangements of six of Piazzolla’s most popular tangos. The popularity of Piazzolla’s music continues to increase with each passing year, and this new release will bring the tuneful, dramatic Etudes Tanguistiques, previously seen as `serious` virtuoso solo studies, to a far broader audience. 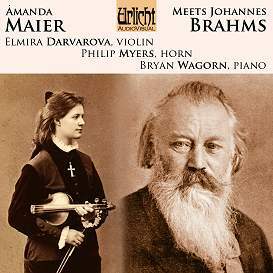 Amanda Maier was greatly admired by Johannes Brahms for both her virtuoso artistry as a violinist and her ambitious, challenging compositions, including her own Violin Sonata. Brahms gave Maier an early edition of his own Third Violin Sonata — and made numerous revisions before publication based on Maier’s advice. Amanda Maier Meets Johannes Brahms brings together their mutually infuential violin sonatas along with Brahms’ Trio for Violin, Horn and Piano. Elmira Darvarova, the frst female concertmaster of the Metropolitan Opera Orchestra, is joined by rising Canadian piano star Bryan Wagorn and, in Brahms’ Horn Trio, New York Philharmonic principal hornPhilip Myers in a rare solo appearance. This release contains the only recording of the Maier Sonata currently available. The download edition also includes a bonus work not available on CD: Clara Schumann’s 3 Romanzen for piano and violin, Op. 22! Buy the CD Edition here . and .cue sheets and mini-covers for portable players! iTunes users: download the mp3 to your iTunes directory, unzip, and enjoy! We accept PayPal for download sales. Downloads are delivered by the secure Payloadz service; after purchase, you will receive an e-mail with a direct download link. The two composers on this disc lived and worked in London. Rather than performing a servile role in the aristocratic courts of Europe or working as music directors in churches, they joined many of Europe’s finest musicians in London, where they were offered independence and respect. One composer is in the pantheon of greats. The other has unjustifiably become an historical footnote, and the man who is arguably the world’s greatest virtuoso double bassist is out to right this wrong! Double bassist Gary Karr, one of the greatest living string virtuosos, presents the world premiere recordings of trios by late Baroque composer François-Hippolyte Barthélemon, coupled with his edition of string trios by Barthélemon’s friend and colleague Georg Frideric Handel. 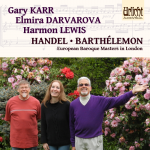 Karr is joined by his longtime keyboard collaborator Harmon Lewis and MET orchestra past concertmaster Elmira Darvarova. A must-have recording for fans of double bass, baroque music, and just plain terrific music-making!